Majority of spine problems can be treated without surgery!!! Even the best spine surgeon in the world will agree to this!!! To help optimize care for patients with spine problems, Sattvik Spine & Scoliosis Center has a rare combination of a spine surgeon as well as an ayurvedic physician offering appropriate care to spine patients. With the rapid evolution of knowledge in all fields of medicine, there exists a growing need for super specialists to offer the best possible treatment to patients. This could not be truer in the field of spinal surgery where the margin for errors in clinical and surgical decision-making are very narrow! 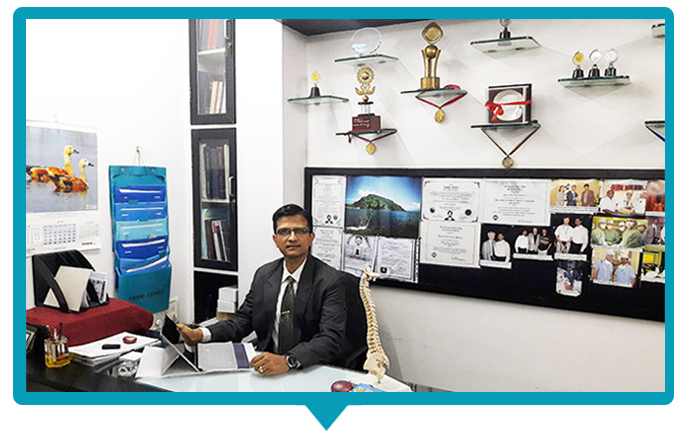 Dr. Yogesh K. Pithwa is the first Indian officially accredited as a super specialist in spine surgery by the National Board of Examinations, New Delhi. Having graduated in Ayurveda in Mumbai, Dr. Deepa Y. Pithwa has further honed her skills in the field of ‘panchakarma’ at the famed Arya Vaidya Pharmacy of Coimbatore, India. Mechanical backaches failing to get better despite extensive allopathic treatments or spine surgery patients unable to undergo surgeries for various reasons would greatly benefit from the expertise of Dr. Deepa.